The Mindanao Examiner: Marawi, Quo Vadis? 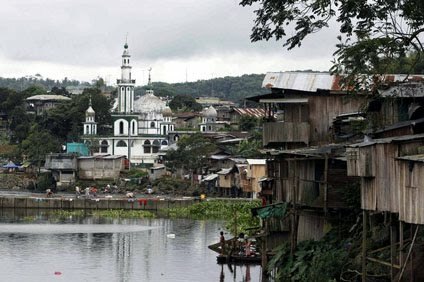 MARAWI CITY, Philippines (Mindanao Examiner / July 2, 2010) – Despite it being an Islamic city, Marawi is now fast becoming a haven for criminals with the spate of robberies, murders and kidnappings, locals and traders alike are fearful of their safety. Just recently, gunmen shot and woman after she refused to yield her bag. In another incident, unidentified armed men also barged into several stores and robbed its owners in broad daylight strikes. While most of the locals are known to be religious who pray at mosques many times during the day, criminals continue to sow fear and citizens were urging authorities to put a stop to these nefarious activities. Extortion is also not uncommon in Marawi where small shops regularly receive demands from various groups and owners risk being kidnapped for ransom or their establishments bombed if they do not pay up. Last month, gunmen kidnapped Nuraldin Yusoph, a son of Commission on Elections Commissioner Elias Yusoph, and demanded the annulment of poll results in at least four towns in exchange for the safe release of the hostage. What's happening in our home town...instead of becoming a peace haven in the south due tothe people's religion that brings peace, it is somewhat reverse...crimes are all over, kidnapping, killings, and people can't help it but for them to feel fear. Maybe this is also a CURSE brought by those activities done during election, a karma.